We were hired to redo the illustrations representing the Curty Wurty Pops brand. 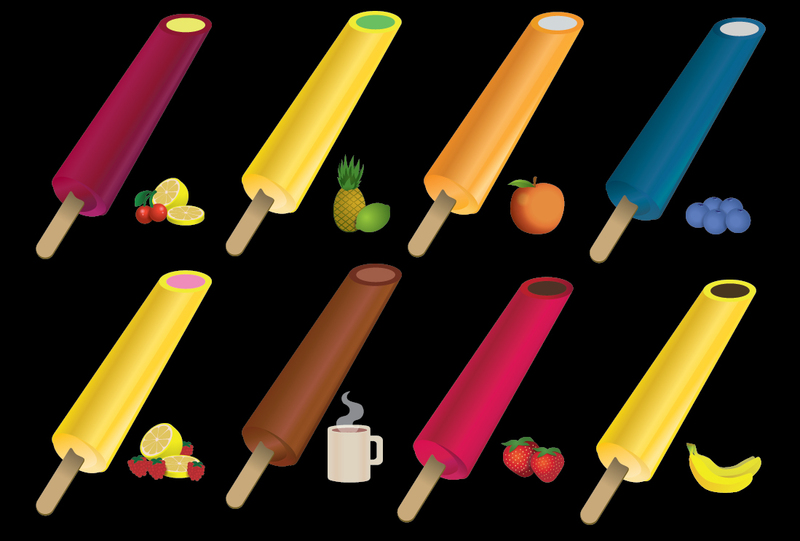 We created new graphics for the Popsicles and for each fruit or flavor they represent. All of the images were created in vector format with Adobe Illustrator so they could be resized without any loss.